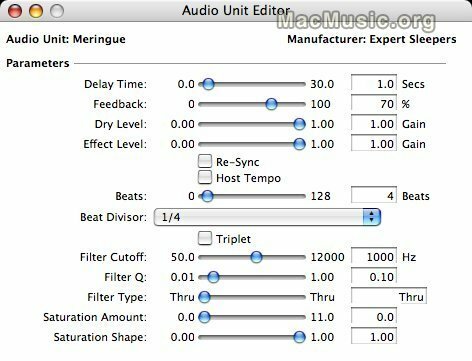 Expert sleepers has announced Megingue 1.0, a freeware Audio Units plugin for Mac OS X. Meringue is a delay effect. Unlike most delays, the delay runs alternately forwards and backwards, rather than continually forwards. Meringue is available in the MacMusic softwares section.